Join us for the 2019 Business Women’s Lunch! 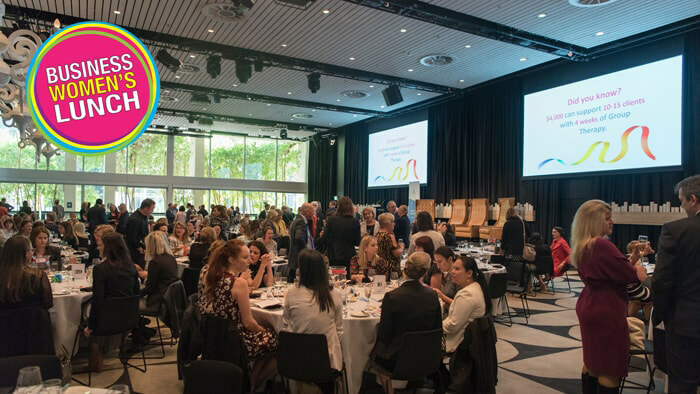 Now in its 10th successive year, this event brings together Australian Olympic swimmer, Cate Campbell; Lyn Cobley, Chief Executive, Westpac Institutional Bank; and Elizabeth Koff, Secretary, NSW Health to discuss the challenges women face in earning respect and maintaining integrity in the modern workforce. Attendees will get the opportunity to learn from real life experiences with practical tips and tricks for their own personal journey, making it an ideal training opportunity for up and coming managers. The Business Women’s Lunch is for women in middle to senior management levels. This is an equal employment opportunity event and is well attended by males in senior management supporting female colleagues. The event will be an outstanding opportunity to entertain executives and potential clients who will be empowered and motivated. Tickets cost $180 per seat, or $1700 per table (10 seats). For more information on booking a table or a ticket please contact the Events team on on marketing@odysseyhouse.com.au or call 02 8307 8838. 2018 was a SELLOUT event and as a valued supporter, we are giving you the opportunity to reserve your interest and book today! There are a small number of sponsorship opportunities however availability is limited so email marketing@odysseyhouse.com.au for details. Call 8307 8838 or marketing@odysseyhouse.com.au.